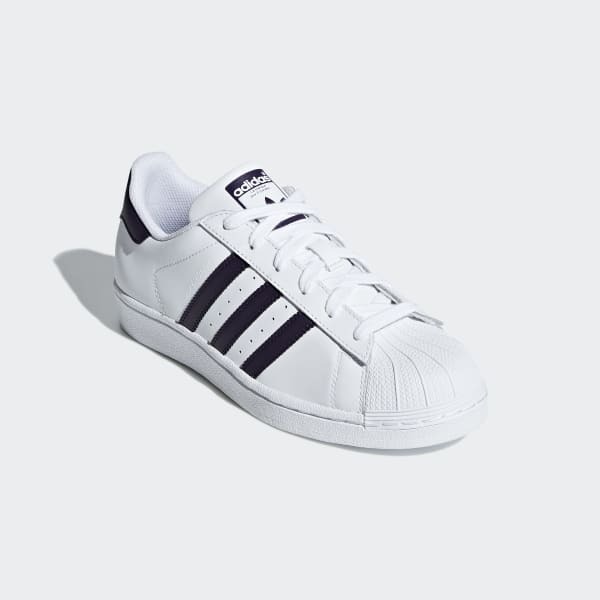 adidas Superstar trainers with metallic snakeskin details. 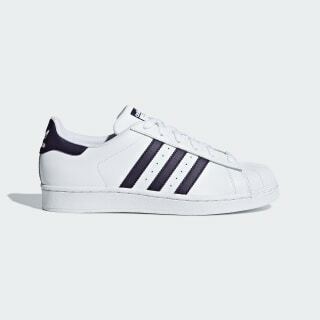 Launched in 1969, adidas Superstar shoes quickly lived up to their name as athletes laced into the now-famous shell-toe design. This version has a leather upper with snakeskin-embossed metallic 3-Stripes for a little flash.